1. 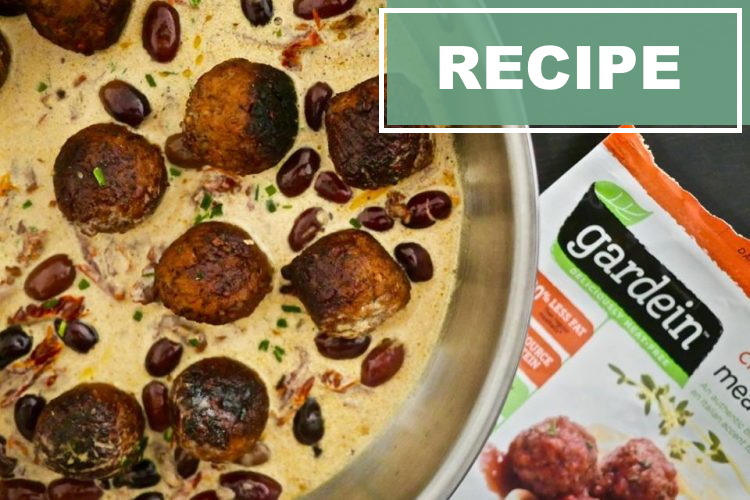 Cook the meatless meatballs by follow the instructions on the packaging. 2. When they are done, please put them on a plate. 3. Pure the cooking cream in the same pan in which you cooked the Meatless Meatballs. 4. Also add the kalamata olives, sun-dried tomatoes, pepper, and salt. Let it cook for 5 minutes. And then add the meatless meatballs in the sauce.